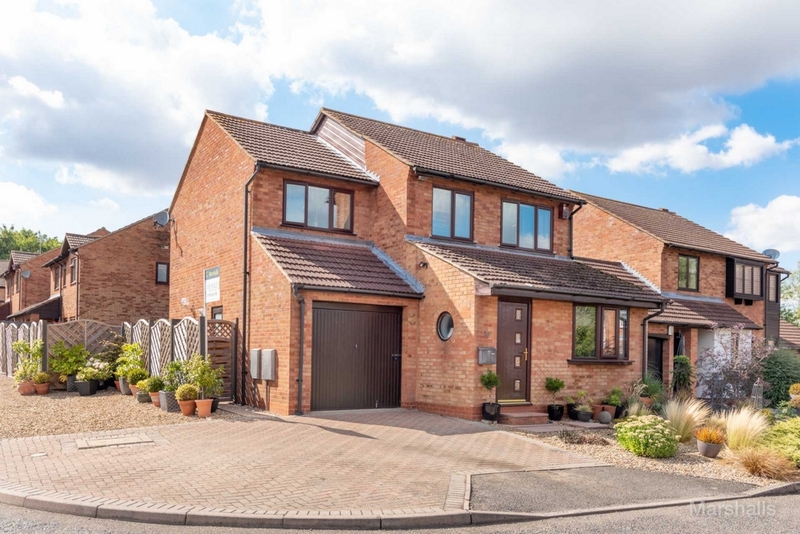 Marshalls Estate Agents are delighted to bring to the market, this extended four bedroom detached property, located in a cul-de-sac within the popular area of Two Mile Ash. 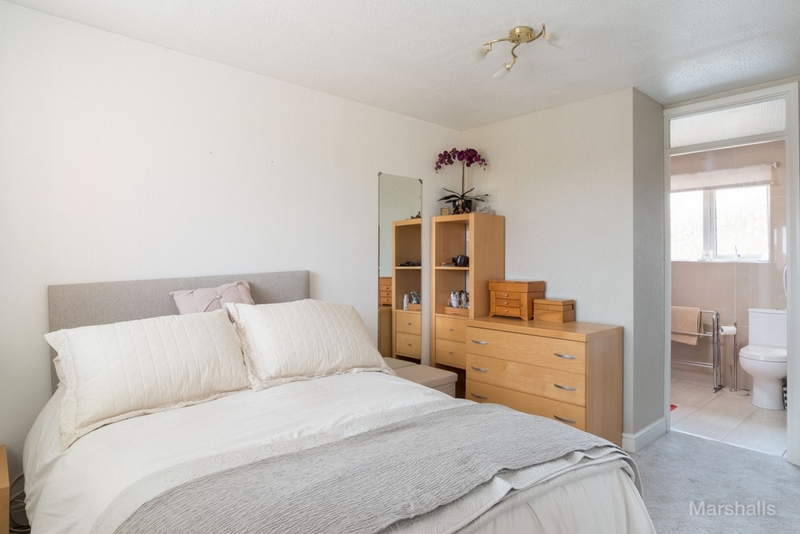 The property benefits from: re-fitted kitchen, re-fitted en-suite and family bathroom, extended lounge, private sunny rear garden and off road parking for three cars plus a garage. The property also benefits from UPVC double glazing and a four year old boiler. An internal viewing comes highly recommended. FRONT GARDEN: Mainly laid to shingle, path to front door, range of shrubs. ENTRANCE HALL: Two ceiling lights, loft access, double glazed port hole window to side aspect, stairs rising to first floor, door to lounge. 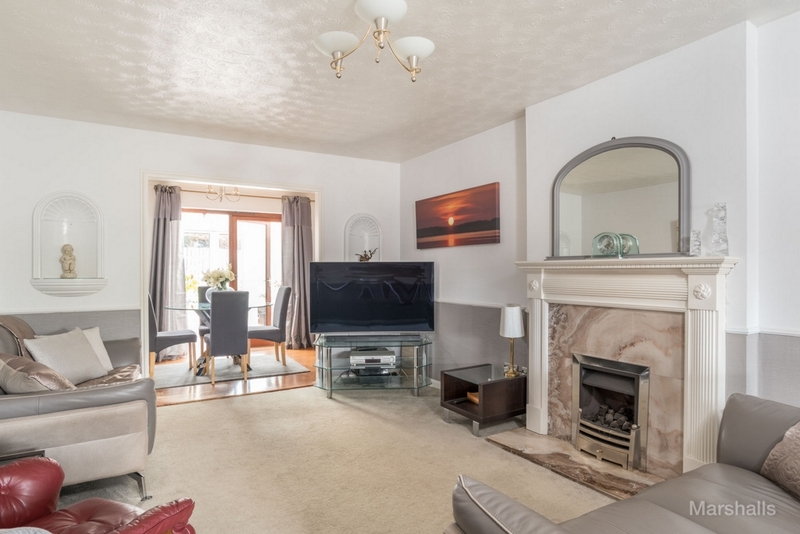 LOUNGE 7.42m (24'4) x 3.53m (11'7): Two ceiling lights, double glazed bay window to front aspect, feature gas fire with wooden surround and marble hearth, television and telephone points, through to dining room. 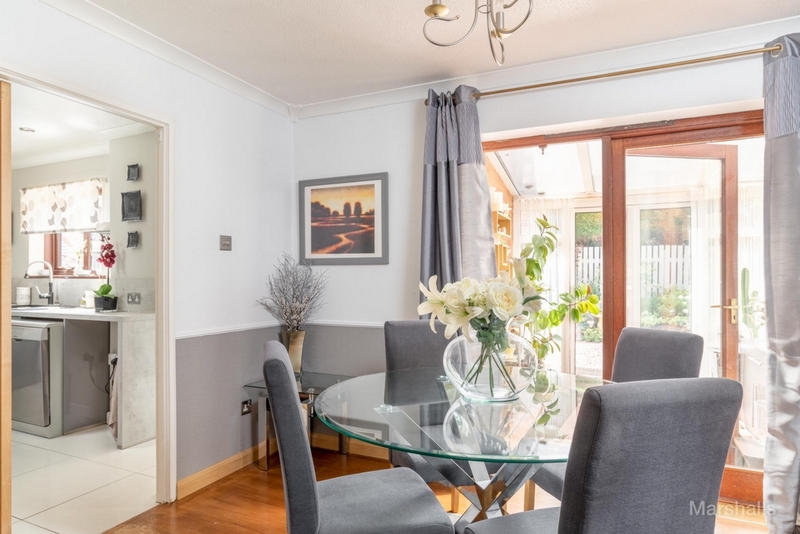 DINING ROOM 3.39m (11') x 2.25m (7'4): Ceiling light, coving to ceiling, double glazed door to conservatory, radiator, door to kitchen, solid wood flooring. 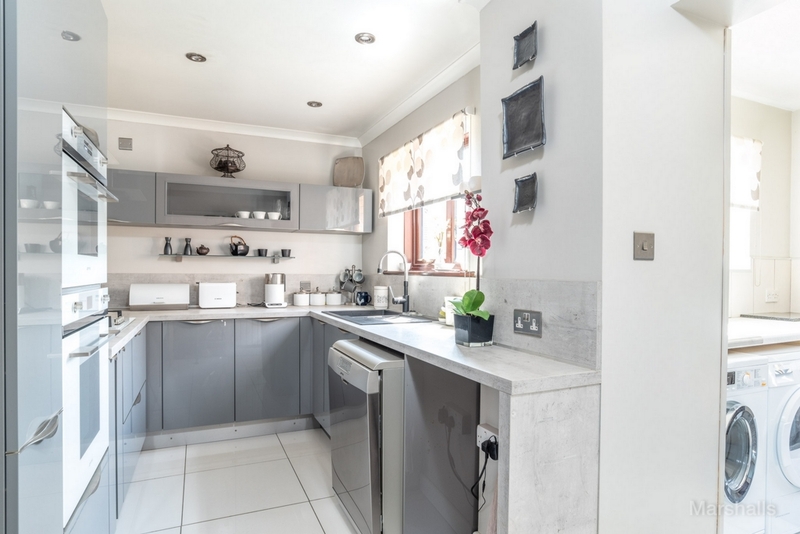 KITCHEN 3.82m (12'6) x 2.24m (7'4): Inset spot lights, re-fitted with a range of wall and base mounted units with work surfaces over, built-in 'Smeg' oven with combi microwave and grill, 'Smeg' gas hob with extractor over, matching splash backs to work surfaces, composite sink with drainer and designer tap, space for dishwasher, double glazed window to rear aspect, radiator, porcelain tiled flooring, under stairs storage cupboard, through to utility room. 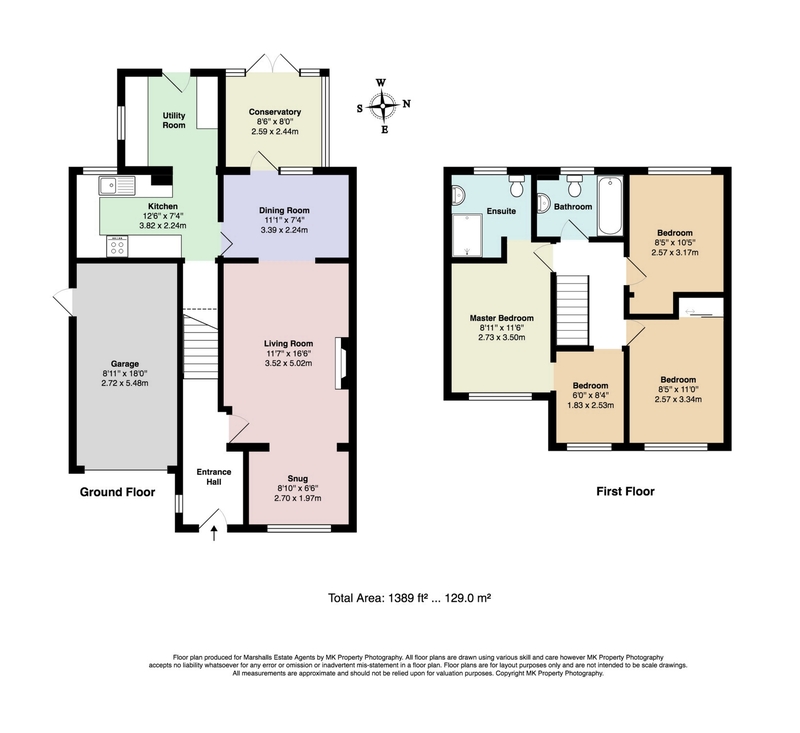 UTILITY ROOM 2.53m (8'3) x 2.44m (8'): Inset spot lights, base mounted units with work surfaces over, space for washing machine, space for dryer, space for American style fridge freezer, double glazed window to side aspect, double glazed door to rear, porcelain tiled flooring. 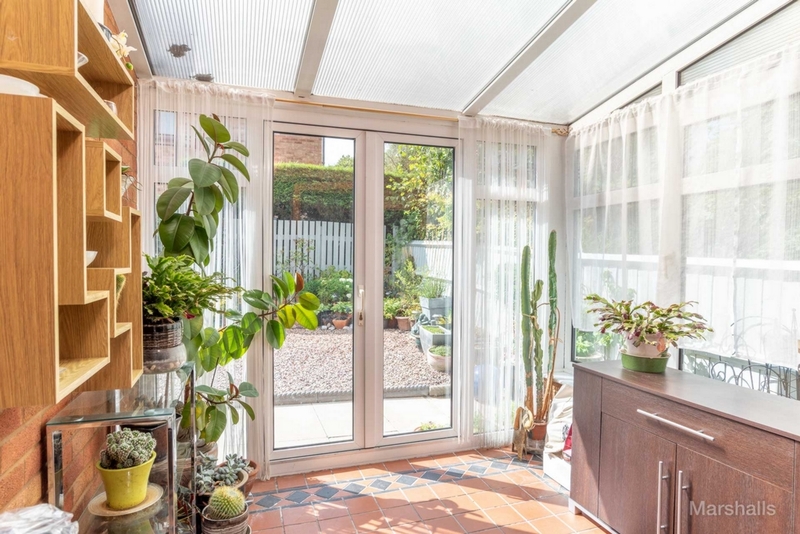 CONSERVATORY 2.57m (8'5) x 2.45m (8'): Dwarf brick wall construction with double glazed window to side and rear aspects, double glazed door to rear, tiled flooring, wall lights. 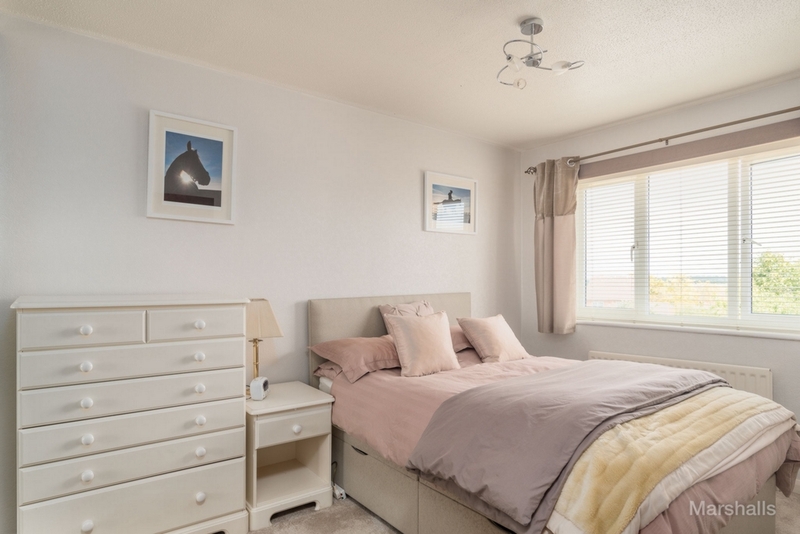 LANDING: Ceiling light, loft access, airing cupboard, doors to all rooms. BEDROOM ONE 4.06m (13'4) x 2.75m (9'): Ceiling light, double glazed window to front aspect, radiator, door to en-suite, arch to bedroom four (currently used as dressing room). EN-SUITE: Re-fitted to comprise: a double tray shower cubicle with dual head shower, low level WC and a wall mounted hand wash basin. 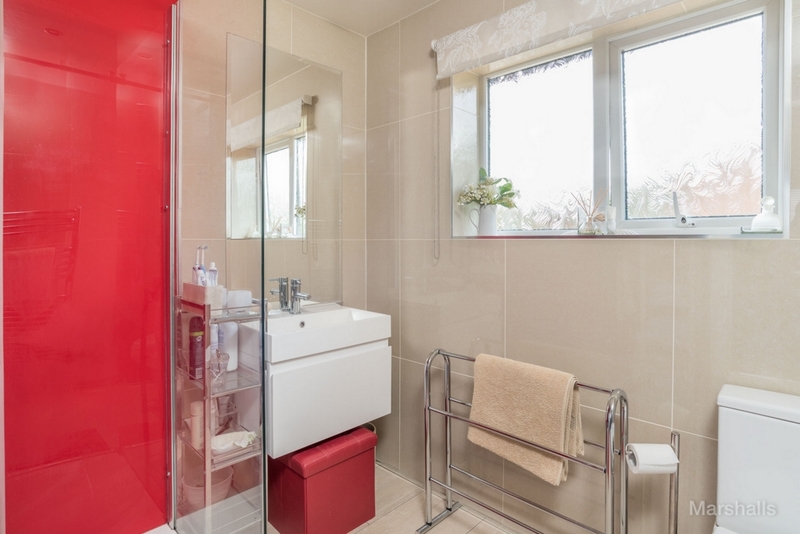 Heated towel radiator, tiled walls and floor, double glazed window to rear aspect, LED lighting. BEDROOM TWO 3.50m (11'5) x 2.56m (8'5): Ceiling light, double glazed window to front aspect, radiator, built- in wardrobe with mirrored doors. BEDROOM THREE 3.18m (10'5) x 2.56m (8'5): Inset spot lights, double glazed window to rear aspect, radiator, built-in wardrobe. BEDROOM FOUR 2.54m (8'4) x 1.82m (6'): Ceiling lights, double glazed window to front aspect, radiator. 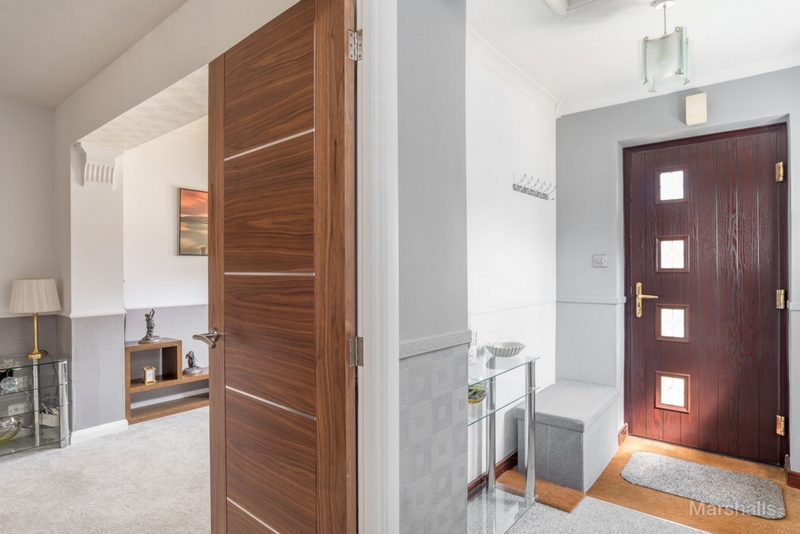 FAMILY BATHROOM: Inset spot lights, tiled floor, half tiled walls, shaver point, double glazed window to rear aspect, fitted with a three piece suite comprising: low level WC, hand wash basin set on vanity unit, panelled bath with mixer tap and shower attachment. GARAGE: Single garage with up and over door, power and lighting, wall mounted boiler, door to side. PARKING: Driveway leading to garage providing off road parking for two cars, further parking for one car or caravan/mobile home. 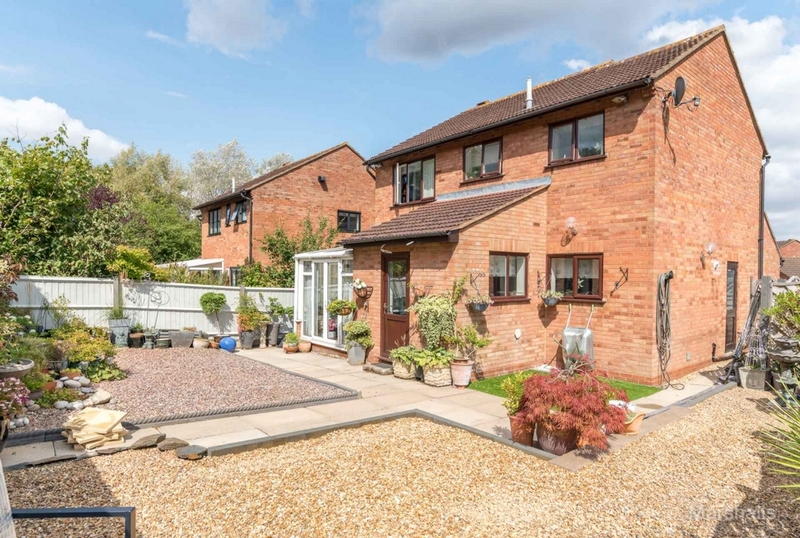 REAR GARDEN: Paved patio, enclosed by panelled fencing, gate to front, mainly laid to shingle, artificial grass area, fitted shed to side of property, outside tap, lighting, door to garage.